Select large sizes are available with extra long handles. 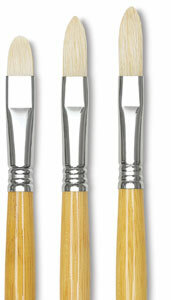 These premium bristle brushes are especially prized by painters who work in oil and acrylic on very large canvases. The matt-varnished handle measures almost 60 cm, nearly two feet long, and offers plenty of control. 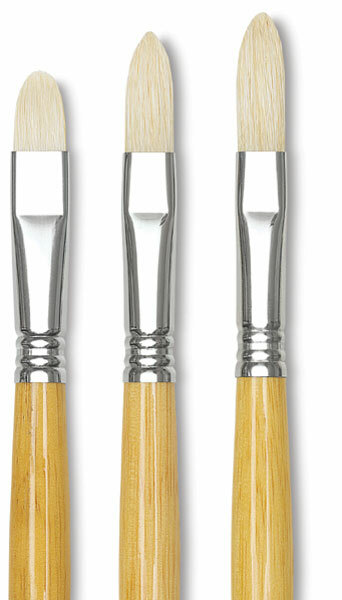 The price of these unusual, extra long handle brushes reflects the special handling and packaging they require at every stage in their manufacture and distribution.